95T Elevation Series Treadmill - The premium Elevation Series Treadmill combines the comfort of FlexDeck technology with enhanced user engagement. 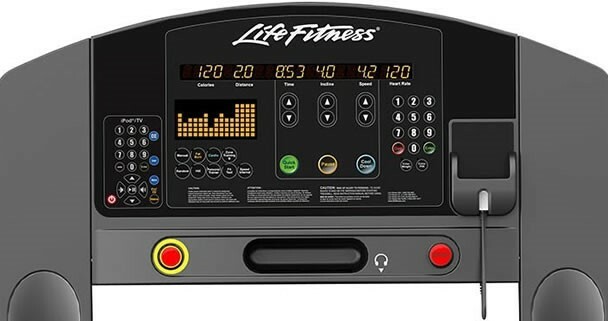 Three intuitive console choices provide entertainment, workout tracking and detailed product use information. Powder Coating is a high-quality finish featured on all of our remanufactured products. 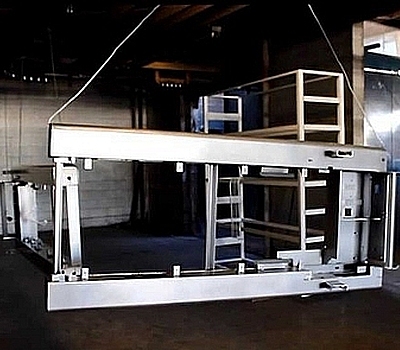 This feature protects the equipment you depend on daily by protecting treadmill frames and metal parts. In addition, powder coated products provide a more durable finish, an attractive gloss or matte color, and provides resistance against diminishing coating quality as a result of impact or moisture. In turn this reduces the risk of scratches, chipping, corrosion, fading and other wear and tear issues. Performance of a new unit. Durability and reliability of a new unit. All our electronics are inspected through a series of tests and diagnostics. In some cases, basic repairs are made to the electronic boards returning them to their original condition. If electronics do not meet our quality standards they are replaced with new parts. 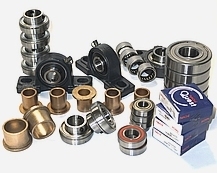 All our remanufactured equipment, with no exception to any machine, is outfitted with a premium range of bearings. We procure our parts through some of the leading Japanese and German suppliers in the market, such as Asahi Seiko, INA and NSK. Supplying our parts through these quality vendors ensures that we in turn provide our customers with the best performance possible on our equipment, along with guaranteeing reliability and longevity. 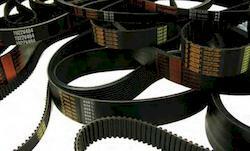 From synchronous, cogged or Poly-V Belts, we maintain an extensive stock of belts to meet our production demands In this field we work with the leading manufacturing brands to ensure the best performance and reliability during long hours of operation with our equipment. Our remanufactured treadmills are outfitted with premium wax-less belts and decks. These are often twice as expensive to regular belts, which in turn extends the life of the equipment and saves on maintenance costs to our customer. Console Overlays is the product that tends to fail the most on used equipment due to the wear and tear from the numerous amounts of persons using the equipment at public gyms. For this reason, all of our console key pad overlays and touch screen membranes are replaced. Doing this ensures our customers a more satisfying experience and increases the longevity of our equipment. Flash Programmable with USB – Yes. Manager Menu Options – Yes. Min Speed – 0.5 mph (0.8 kph). Max Speed – 14 mph (23 kph). Belt and Deck System – DX3™. Integrated Accessory Tray – Yes. Compatible Devices – iPod mini,iPod nano,iPod,iOS 4.3 & above,Android 4.0/Ice Cream Sandwich & above. Easy To Remove Headphone Jack – Yes. Flex Deck Shock Absorption – Yes. Heart Rate Monitoring – Polar® Telemetry (optional chest strap required) Android 4.0/Ice Cream Sandwich & above. On the Fly Programming - Yes. Proactive Belt Wear Notification - Yes. Walk, Jog, Run - Yes. Welded Steel Frame, Front Roller Lift Wheels and Rear Levelers - Yes. Max User Weight: 400 lb (182 kg). Running Surface Length: 60 in(153cm). Running Surface Width: 22 in(56cm). 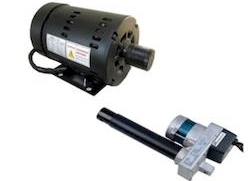 Motor System: 4.0 HP (8.0 HP peak) with AC motor with MagnaDrive™ motor controller. Power Requirements: Dedicated 120 volts/20 amp circuit (voltage may vary outside U.S.). Limited Warranty does only apply to REMANUFACTURED products. PLEASE READ THESE WARRANTY TERMS AND CONDITIONS CAREFULLY BEFORE USING YOUR STRENGTH INDUSTRY INCORPORATED PRODUCT. BY USING THE EQUIPMENT, YOU ARE CONSENTING TO BE BOUND BY THE FOLLOWING WARRANTY TERMS AND CONDITIONS. Base Care Limited Warranty. Strength Industry Incorporated warrants all remanufactured products to be free from defects in materials and manufacture for the warranty periods set forth below. The warranty periods commence on the invoice date of the original purchase. This warranty applies only against defects discovered within the warranty period and extends only to the original purchaser of the product. Parts repaired or replaced under the terms of this warranty will be warranted for the remainder of the original warranty period only. To claim under this warranty, the buyer must notify Strength Industry Incorporated within 30 days after the date of discovery of any nonconformity and make the affected product available for inspection by Strength Industry Incorporated or its service representative. Strength Industry Incorporated obligations under this warranty are limited as set forth below. 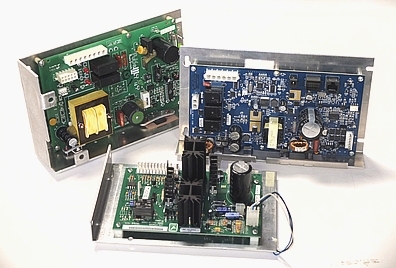 Treadmill motor & motor control board’s warranties include labor to match the parts warranty period. Wear items are defined as and are not limited to treadmill deck, running belt, seats, pedal covers and hand grips. Software defects that do not materially and negatively affect the exercise functionality of the product under normal use conditions at the time of installation. Consumable goods or cosmetic items of the product, to include all plastic or painted surfaces, the exterior of which has been damaged or defaced as a result of abuse, misuse, accident, improper service or installation, mishandling or modification in design or construction not authorized by the Manufacture; including, without limitation, use or incorporation of any non-OEM (Original Equipment Manufacturer) replacement parts. Cosmetic, structural, or functional damage (including rust, corrosion and unusual wear) caused by failure to follow the maintenance procedures described in the owner’s manual. Repairs performed on remanufactured piece of equipment missing a serial number. Service calls to correct installation of the equipment or instruct owners on how to use the equipment. Pickup and delivery involved with repairs. Any labor costs incurred beyond the applicable labor warranty period. This warranty gives you specific legal rights, and you may also have other rights, which vary from one jurisdiction to another. The Explore Console has a sleek, contemporary design that fits any home. The Discover SI touch screen console provides a compelling workout experience with advanced connectivity. You probably think all treadmills are pretty much the same—and most of them are. Except for the CYBE.. This treadmill is used in health clubs worldwide because of its outstanding quality, durability ..
ARTIS® Run is state-of-the-art in treadmill technology combining running ergonomics with UNITY™ ..
Not all Treadmills are created equal, the T5x is hands down one of the highest spec commercial t..